This photo, taken by a reader earlier this week, shows cars parked eastbound on both sides of the street, and the narrow driving lanes the incorrectly parked cars create. According to the rules of the new shared street, cars should be parking with the right/passenger side against the dark grey stripe, not the light grey stripe, as these cars are. Argyle is Chicago's first "shared street" and that means that there's a learning curve, both in figuring it all out and explaining to drivers and pedestrians how it works. Readers have been posting that they are confused about whether it's one-way or two-way now, since cars all seem to be parked facing east on both sides of the street. They also point out narrow "chokepoints" that would make it difficult for cars going in opposite directions to pass one another. Here's the handout referenced below by Ald. Osterman's office. 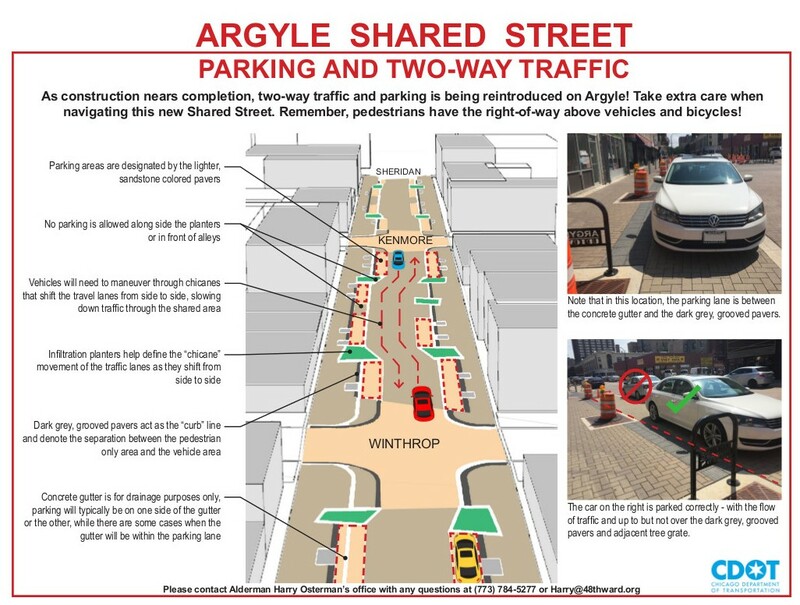 "Argyle is open to two-way traffic. Cars should not be parked facing east on the north side of the street. The narrow feel of the street can be attributed to cars not parking in the correct spot. They should be parking against the darker grey stripe of pavers rather than the lighter grey stripe. I've attached an informational flyer you can include with your statement. [see above] We are working with CDOT to develop something simpler, but this should do the trick in the meantime. We're working to coordinate some volunteers to help us direct parking to start to correct the problem. We are also working with CDOT to determine what kind of additional permanent or temporary signage is required to help drivers easily understand how to use the Shared Street." Thanks, Ald. Osterman. This is the beginning of a long, continuing clusterfk. Maybe it's just me but I feel like if I need a map with instructions to navigate a Chicago street, the project was a waste of time and money. What exactly was the point of this anyway?? God forbid we make things intuitive for immigrants that are new to driving cars. Or just intuitive for everyone? I don't mind the project, but there's nothing that points to this being related to immigrants in any way. Thanks for the clarity, but not sure this will solve it, as I think that just knowing the general rules of the road for this population is a stretch. Last week someone stopped to wait for a spot in the parking lot at the grocery store at the corner of Argyle and Kenmore; traffic backed up all the way to Broadway because there was no way to go around the waiting minivan. Someone should have realized that a lot of the shoppers in this area on the weekend are not locals, so more than likely they will arrive by car. Case in point are the overflowing lots on Broadway all weekend. What is the shared street concept trying to accomplish that the "old" street format didn't? Aside from the weekend (when the non-locals drive to Argyle), the street has very few people walking around during the week. Maybe this would work where there are a lot more restaurants and coffee shops offering outdoor seating, but don't see that on Argyle. Exactly. The planners and street designers likely did not do any time-motions studies on weekends when a lot shoppers and consumers drive over to Argyle St.
That stretch of street has been such a demonstration in competence. A giant lit-up Argyle sign that, in an effort to be hip, is neon-colored with letters that are so badly kerned and cropped they look like a child's project, and now an experiment where they remove curbs and put pedestrians and drivers on the same level, in an area where drivers have continually demonstrated a total lack of respect for pedestrian safety. I'm thinking maybe next they could experiment with garbage-based decoration, put skunk petting zoos on the corner, and maybe run a contest where the panhandler who harasses the most people gets a free trip to Bermuda. Somehow this was going to make all the gangbangers and assorted other lowlifes permanently depart the area, it was going to create incentive for all the business owners along Argyle to invest heavily in façade improvements, and it would magically transport blighted Argyle St. to Lincoln Park, where it would be that neighborhood's pride and joy. Are you kidding us? The City spends all this dough on creating a shared street (a good idea in theory) and then we have to decipher it on a map which includes the word "chicane?" 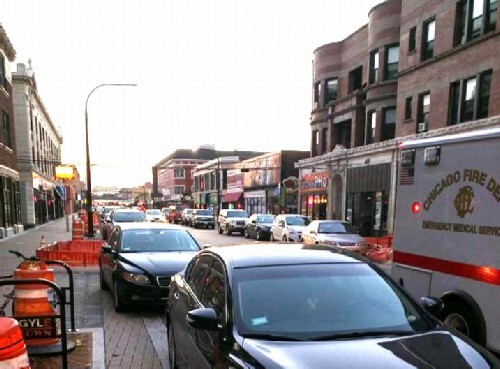 Does CDOT, the Alderman's office and the urban planners know that this street is home to lots of immigrants who don't speak much English and a large "at risk" community of low-income folks. Wow! Better to have used the money to fix potholes and more cops. Clusterf%&k indeed! Ummm, agree it should be intuitive but when these immigrants are driving land rovers, I hardly think they are new to driving. The whole street looks messy. Could we also get garbage cans where people can't place their large size garbage bags from home? They overflow easily. 2 years ago this was planned as a Pedestrian Mall. Now we have 2 way traffic with no lane markers or curbs. Just wait for the first person to get run over and hear the bitching and moaning then. I don't recall hearing it being planned as a pedestrian mall. The earliest I could find about it being a shared street was in July 2013 in DNAinfo. If Osterman needa to provide an instruction manual for parking, he's doing it wrong. What a f* up. Reminds me of that Seinfeld episode where Constanta parks cars. Vote Constanza next election. How many of those drivers are aware of the ordinance giving pedestrians priority? What could POSSIBLY go wrong on a street that needs a diagram to navigate? Not coincidence that "chicane" is so close to "chicanery." The pessimist in me continues to think..."This project will make it so easy for the bangers to just run their targets over instead of drive-by shooting them! AND, it'll be easier to defend in court if they get caught. 'Your Honor, I was confused by the street layout and it was an accident'." It seems like the parking problems would be easily resolved with some paint and a few street signs. In other cities with shared streets the parking spaced are clearly defined with large painted rectangles, so it was very clear if you were in an actual spot. Same with the driving lanes and places where they moved in odd ways. Remember when they made State Street essentially a pedestrian mall, from I think it was Congress St. to Wacker Drive? How only busses, police, and emergency vehicles were allowed? Remember how that turned out? This will turn out the same way. It'll all be ripped back out and returned to a normal street (if Argyle can be considered "normal")with sidewalks and curbs within three years, tops. Have to wonder what the casualty count will be by then. To think what all this wasted money could have gone for. Sad. I think it's a huge change of the better for Argyle. This concept works well in Europe and Europeans don't seem to need diagrams to know how to drive or park. Argyle is now more pedestrian friendly, it is easily accessible via public transportation and the street scaping should help local businesses attract customers from outside the immediate area. I think you would find that European statistics show that there are more vehicle-pedestrian fatalities per capita. And let's face it--this ain't Europe here. 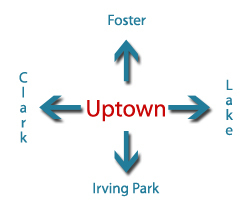 Traffic circles have been around various states for years and are well-marked and there are STILL people confused about how to navigate them despite easy-to-read "One-way" signs. The only way to cost-effectively fix what many people have identified as a cluster-f*ck on Argyle will be to turn it into a pedestrian mall. It would be nice if there was a bigger dose of common sense in City Hall and it brought these expensive experiments to a halt. Chalk up another expensive-for-taxpayers lesson in caving in on wild-eyed fads...and our property taxes have gone up to pay for it. European cities have far more pedestrians than US cities overall. You can't conflate frequency with risk. Comparing pedestrian accidents per capita for Europe vs the US is like comparing per capita ski accidents for Aspen vs Memphis. If there are far fewer people skiing, then of course there will be far fewer per capita ski-related accidents. What you should be comparing is the likelihood of a skier being involved in an accident. And part of the reason for this street-scape is that research shows the likelihood of a pedestrian being hit is dramatically greater in the US compared to Western Europe. Look, it's easy be negative after the fact. It's a lot harder to work with people and contribute something positive to your community. The street scape is obviously not finished yet, and like most everything in our community it could be improved. I agree, it needs help. So if the parking is confusing then think about a solution and contact Osterman's office. If you think one-way traffic or a pedestrian mall would be safer then start a petition. If you don't like the litter and overflowing trash then volunteer to clean it up. There are endless ways you can improve your neighborhood and have a voice in longterm projects like this--with armchair cynicism being the least effective among them. We are lucky to have people trying to improve our community, and they are doing it via difficult and often thankless work. A better Chicago demands we stop complaining and start helping. I appreciate your reply, though I do find it a bit Pollyannaish, give what we face on a daily basis in Uptown. But with that said, I have emailed Osterman's office numerous times with various concerns, and his reply has always been...nothing. 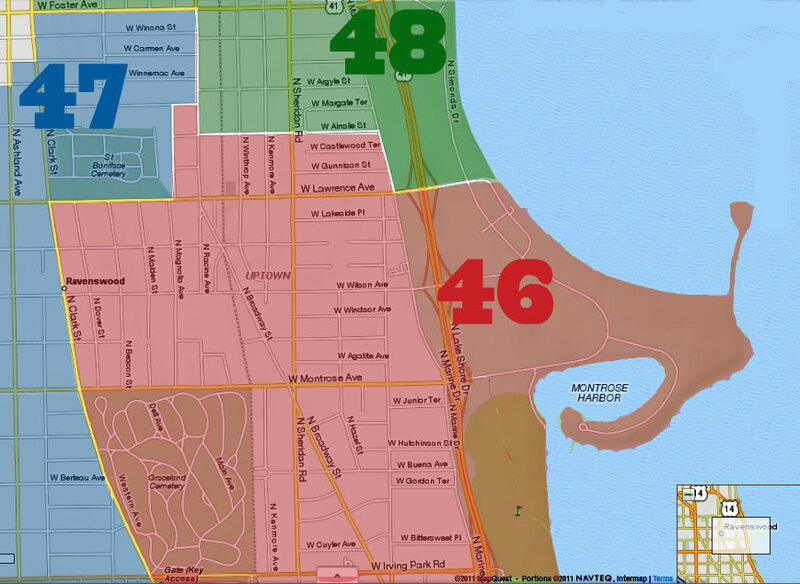 I have never heard back from any of my emails (and yes, I do live in the mighty 48th). As for volunteering to help keep the clusterf@#k all clean and tidy and picked up, I think not. That should be the job of the shop owners along both sides of the street. If this is complaining, you're 100% correct: I'm complaining. I was walking by it today, and people still weren't parked correctly. Perhaps if a cop was on duty on the street.. maybe they could ticket the cars not parked correctly.. and perhaps clearer signs that this is a 2 way street again. Can't wait for the first snowfall. Chaos. People will park and drive anywhere they feel like. Why doesn't the city appropriate the parking garage on Broadway? It's been empty for years. That way we could prohibit any parking longer then 15 minutes on Argyle? (Just enough time to pickup the roasted duck/pig or whatever.) If you need more time, then you pull around and park in the garage. It seems to work in Evanston. Chaos happens when the City plows the snow into the sidewalk and front doors of the stores. Over time those colors designating this and that are going to grow dingy and hard to distinguish...then what? That is, before it all gets torn back out, of course. I have a great idea. What if there was some way to paint the ground with some sort of line telling people it was a 2 way road. We have the technology. Just because this is done in Europe, where there are fewer cars and far more pedestrians, doesn't mean it is a good idea. Consider that the streets in most European cities were laid out in the middle ages, and that in pre-technological times, pedestrians were at great hazard from carriages, that often ran them down with impunity. I personally consider the raised curb and pedestrian-only sidewalk to be a great advance in civilization, and hope it is restored on Argyle St soon.